IPFone, a leading provider of Unified Communications and Internet Access services for business in Florida has completed the acquisition of IntelaCloud LLC, a provider of Cloud Communications solutions to small and medium business (SMB) sector based in Jacksonville, Florida. "We are very excited to complete the IntelaCloud acquisition. 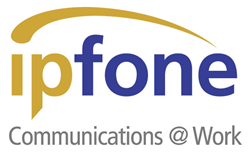 IntelaCloud is an excellent fit and a natural complement to IPFone’s Cloud Communication business." said Damian Chmielewski, IPFone’s President and CEO. "We look forward to welcoming the IntelaCloud team into the IPFone family and to further enhancing the experience of IntelaCloud’s customers with IPFone's dedicated customer support and service portfolio." Recognized for its strong technical and operational expertise in Cloud Communications, IPFone is one of the top service providers in Florida. IPFone’s “hand-on” customer support approach, monitoring tools, dedicated field engineers, project managers and on-site training for successful installations received Unified Communications Award in 2015 and 2016 by TMC.